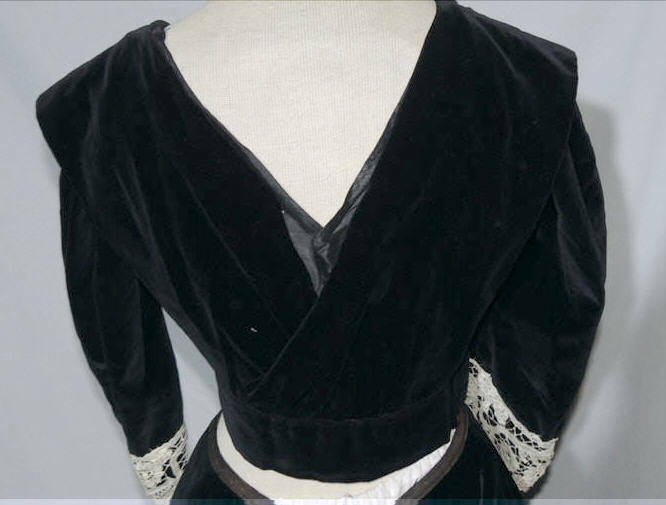 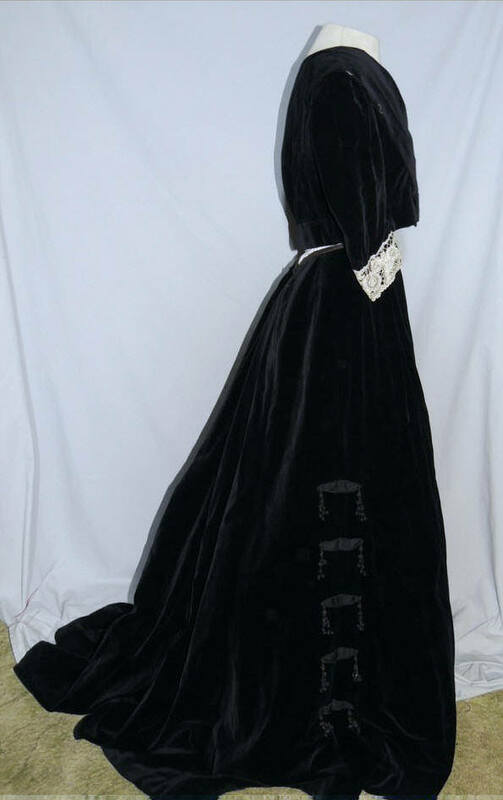 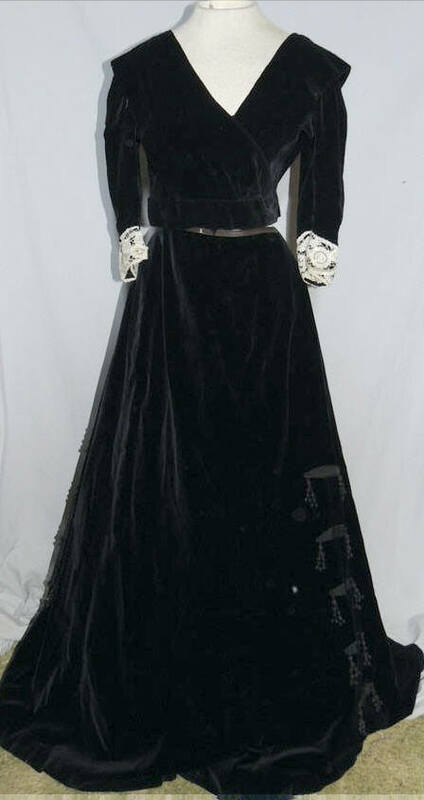 This lovely ca 1905 gown is made from a luxurious black velvet. The bodice has had the trim removed, but otherwise in good condition. 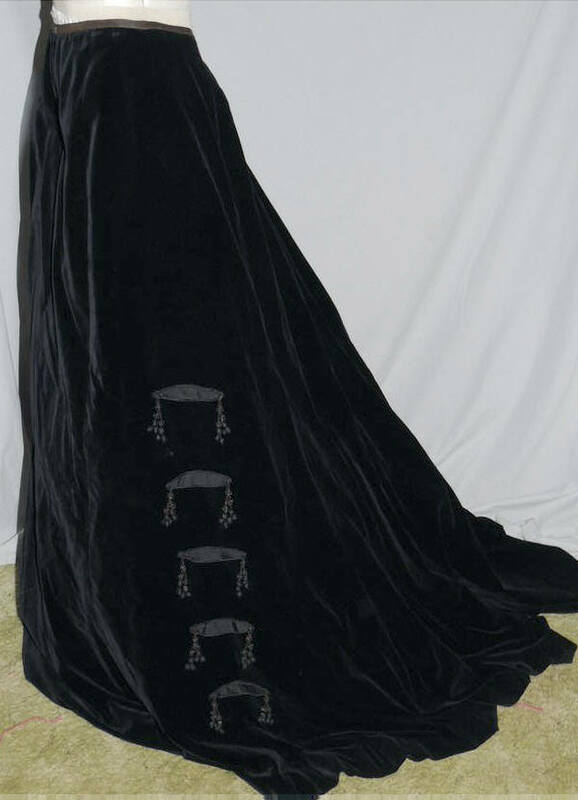 It's lined in black glazed cotton. 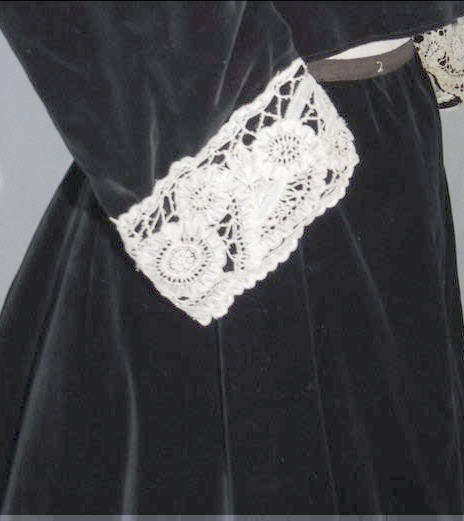 The sleeves are trimmed with a lovely Duchesse styled tape lace. It hooks down the front and the velvet crosses over at the waist to hook at the side front. It measures 38 1/2 inches around the bust, back shoulders about 16 1/;2 inches but has a low V back, waist is 32 and it's 15 iches long from mid shoulder to waist. 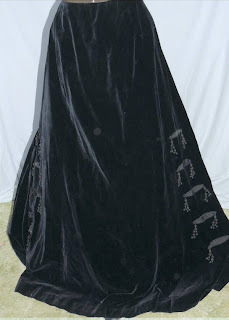 The skirt falls into a train and is trimmed in the sides with braid and ball fringe. 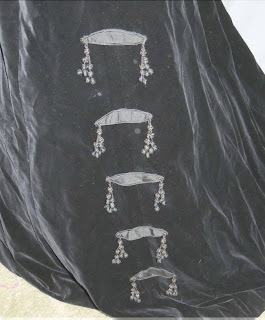 Some of the threads on the cording has turned brownish, but could be touched up with a little black dye or sharpie. 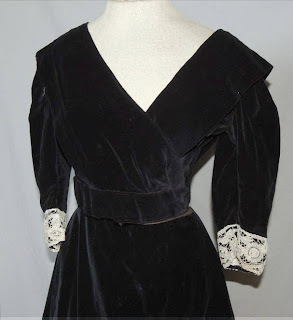 The velvet is backed with a gauze like interfacing, this is shattering and should be removed and won't make a difference to the skirt, also a seam is opened at the waistband for about 1 inch. 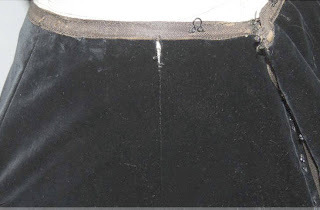 The skirt has a nice old label from the McKeen Bros, Easton, Pa on the placket. It was de-accessioned from a museum and inventory tags are attached. The skirt measures 31 inches around the waist, hips are full and it's 45 inches long in front, dipping to a train in back. Overall, very wearable and excellent condition, just trip up the bodice with a bit of lace. 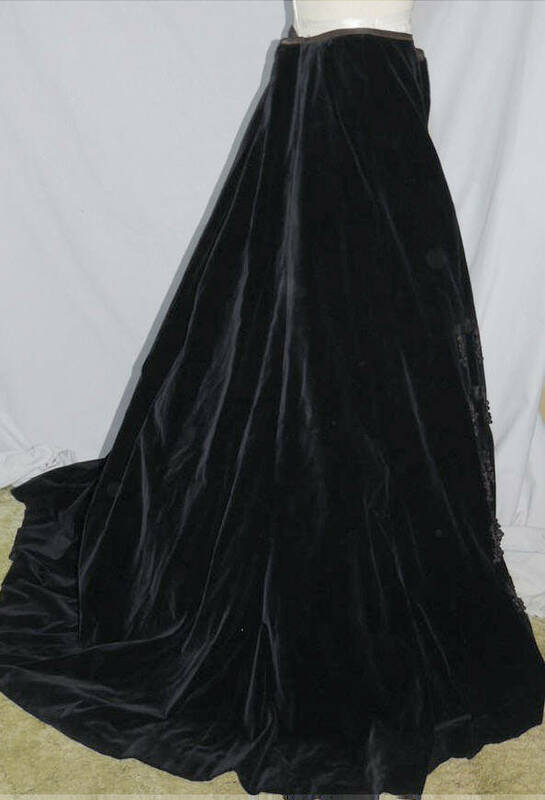 At least the rest of it is correct this time.